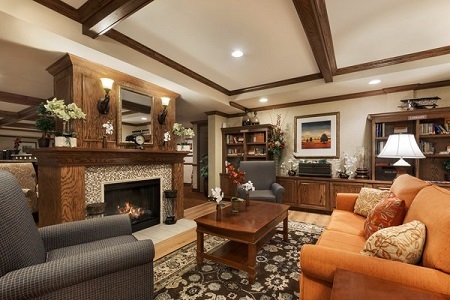 Enjoy a romantic stay with someone special. Enjoy fun-packed days with our family package. 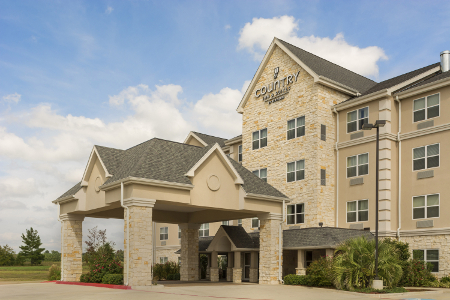 Only 10 minutes from the Texarkana Regional Airport (TXK) and positioned off Interstate 30, the Country Inn & Suites® by Radisson, Texarkana, TX is easy to find. 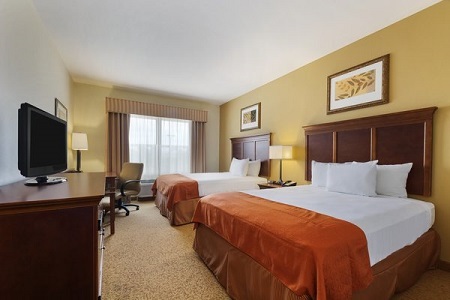 Our hotel guests also enjoy staying just four miles from downtown, which is home to attractions like Discovery Place, the Perot Theatre and the Ace of Clubs House. 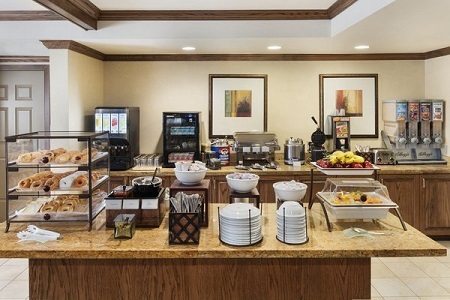 Join us each morning for our free, hot breakfast, which includes rotating hot items, waffles and a variety of other delicious breakfast selections. Along with the food court at Central Mall, several restaurants surround the Country Inn & Suites, including Hopkins Icehouse, a local favorite featuring classic American fare. Perot Theatre – Called the “performing arts jewel of Texarkana,” this theater is just five miles from the hotel. Originally opened in 1924, the theater was restored by the Perot family in 1979 and now hosts a variety of live performances. Four States Fair & Rodeo – Watch horses maneuver through barrel races or experience the crushing excitement of a demolition derby at these fairgrounds. Located six miles from the hotel, this attraction has also hosted the annual Four States Fair since 1945. Ace of Clubs House – We’re just five miles from this historic structure that resembles the shape of a club. An 1885 Italianate Victorian home, the lovely Ace of Clubs House has been featured on HGTV’s Christmas Castles and Bob Villa’s Guide to Historic Homes. For a convenient meeting space near the TXK airport, reserve our flexible conference room for up to 40 guests. Our professional staff are happy to assist with details such as catering and audiovisual needs.